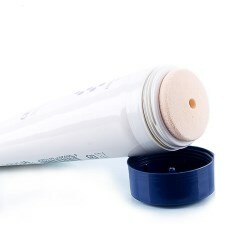 Sponge Tube - Images Folder - UDN Packaging Corp.
All-in-one packaging solution that consumers can apply the product on the skin without extra tool and no worry to get their hand dirty. Customized brush color. 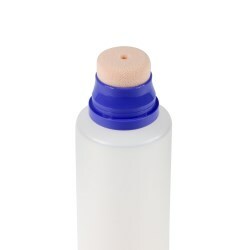 Brush can help to apply product on the area that is difficult to reach. Decorating options include one-to six-color offset, one-to five-color silk screen print, up to 100% hot stamping, spot-and full wrap labeling, as well as a variety of custom options.Thanks to sleeve decoration before heading the tube, over shoulder decorations and artwork oriented to applicator and flip top cap is available. Triangular head can also be injected into different colors to match the lip gloss. It includes two 16mm tubes and one connector and offers various ways to use.3 different head style：roller ball, slant tip and ophthalmic. Total 6 combinations to choose. Gentle skin touch. Make consumers feel soft flurry when applying the cosmetic/skincare product. 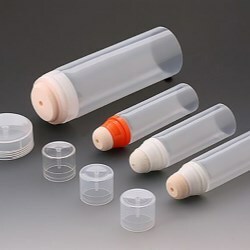 An intuitive and easy-to-use tube packaging solution that is similar to lipstick. Accessories for mascara or lip gloss. Less usage of resin than conventional tube and capable of recycle after usage and thus more eco-friendly. Post-Consumer Resin, 100% recycled containers. Packaging your products in containers made from PCR is a great way to make your business more sustainable, environmentally responsible, and green. Easy to apply formula to the specific area with precise amount. 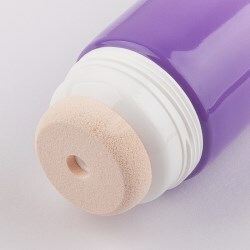 A new way to solve the problem of foundation product with sponge applicator. Different material options for the roller ball, such as stainless, plastic, ceramics. By easily tearing the security strip off and screwing the cap to the bottom, the tube enables customer’s formula to have its own temperature, which delivers a cooling effect upon application. By easily tearing the security strip off and screwing the cap to the bottom, the tube enables customer’s formula to have its own temperature, which delivers a heating effect upon application. Value-added, two in one tube packaging solution. Consumers can enjoy both formula at the same time. 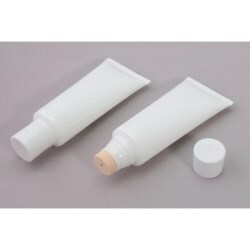 UDN provides packaging tubes with slanted-tip for better product application specially designed for beauty and cosmetic packaging. Most companies use this design for lip gloss products. 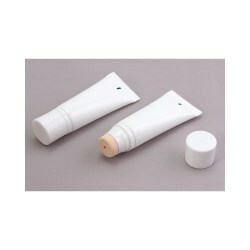 TPR & Silicon Gentle skin touch.Suitable for wrinkle treatment、concealer、Hair removal cream、Antifungal Treatment, etc. Soft tip with TPR material, resilient and gentle touch. Handy and easy to use. 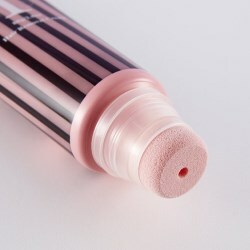 Suitable for lip gloss, concealer, lip balm, wrinkle treatment, etc. Two independent space to be able to fill with two different formula without any combination or contamination. The thickness of Ultra Slim Tube is less than 16mm. Plus, its front printing area is 16% more than the conventional round tube. Tube in tube: there is a tube inside the tube!